The only way for us to be able to recommend the gear we sell is for us to USE it! We spend a lot of time on the water testing out the Stand Up Paddle products we sell on the site. 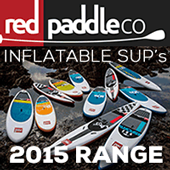 A Lot of times we will sell the equipment we test out through our USED SUP PROGRAM. 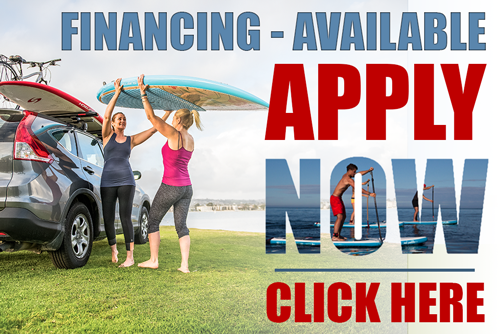 This is an OPPORTUNITY for you to get quality paddle boarding gear at a reduced price. After we have used the gear, we offer it for sale at a discounted price. Most times it has only been used for a couple of sessions and is always well cared for! We also sell the gear that we use for expos, displays, demos and lessons. The Way the Program Works:We maintain a list of “needs” that we have received from people who have contacted us, or who have REGISTERED on the site. So, the first thing you need to do is to contact us with the contact us link above. Fill out the form COMPLETELY and let us know (1) that you want to be included in the program and (2) what type of equipment you are looking for. We will let you know what we have at that time, as the list is always changing. Also, when we get a new piece of equipment in that we know is soon to be sold as “used” we contact the people on the list to let them know. This way you will also know what is going to be available soon. Reason We Do It:We have to use the gear, we like to use the gear, and we like being able to offer you the opportunity to score good stand up paddle gear at a GREAT PRICE! Limitations:We can repack and ship almost ALL of our used stand up paddle boards. In Most cases our used paddle boards ship for ONLY $90-$120 depending on your location. But… Some of our longer race boards are only available for local pickup in Tampa or Ocala. The list will specify availability for shipping.